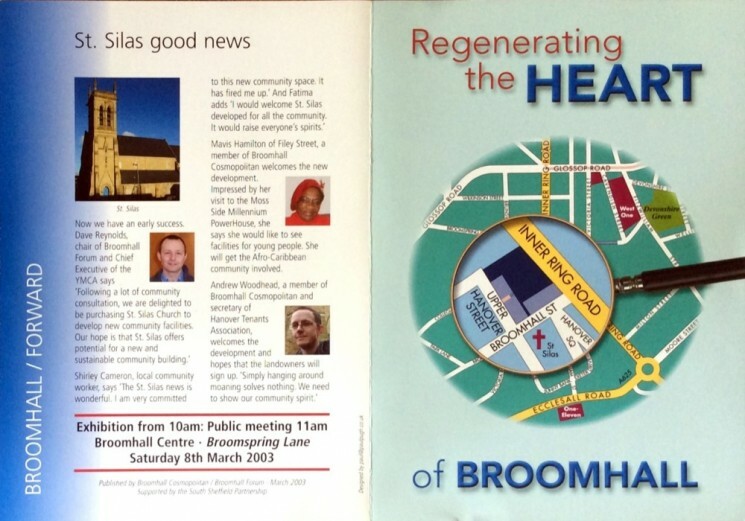 Over the years there has been many projects and campaigns to regenerate different parts of Broomhall. In 2003 the local community and local organisations got together to organise Broomhall Cosmopolitan to regenerate the future of local buildings in the vicinity of St Silas church. This flyer below talks about the possible new developments for the then recently closed St Silas church, the Genesis building and the St Silas church rooms (also called Wright Memorial hall) round the corner. Alas these plans never came to fruition. St Silas continued to stand derelict for many more years to come and the St Silas church rooms on Hanover Street were eventually demolished. 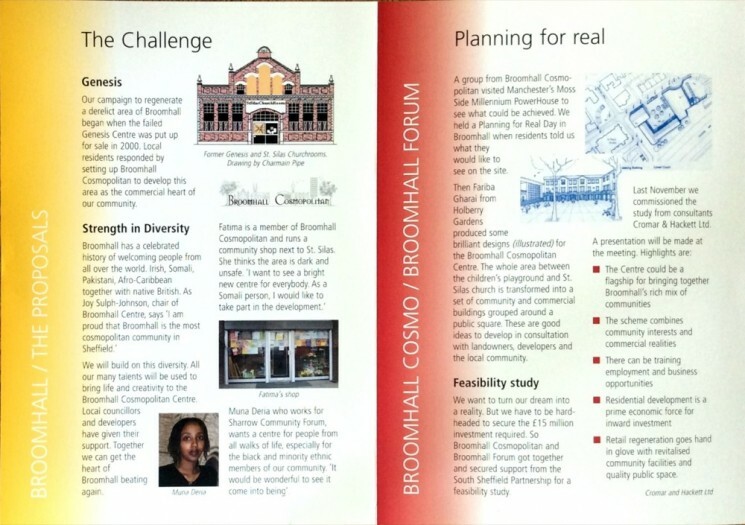 These images are from the Broomhall Park Association (BPA) archive. Many thanks to their Archivist, Jim Ford, for letting us digitize them for our website. This page was added by Jennie Beard on 28/07/2016.